Modafinil is often advertised as very effective and overall the best nootropic to use. Nootropics can be drugs, or simply nutrients found in food, capable of improving cognitive abilities like the ability to recall, attention span, and the overall function of the brain. These drugs also give its users the ability to process information faster and more effectively, as well as improving concentration. Often labeled “Smart Drugs”, nootropics, and specifically Modafinil are available on the market by the title Provigil, and is usually listed under “The Best Nootropics” for its abilities to advance mental abilities and increase concentration. Modafinil provides many benefits, since it is such a potent nootropic, however users who consume this supplement must be conscious of its potential negative effects on both the brain and entire body. Alongside the drugs’ alternatives, Modafinil or Provigil, is a drug which waters down fatigue and sleepiness, making it a choice for individuals suffering from narcolepsy, intermittent change in the circadian rhythm, idiopathic epilepsy, hypersomnia, and disproportionate fatigue during the day, which relates to obstructive sleep apnea. Hypersomnia, or excessive sleepiness, is a condition in which a person has trouble staying awake during the day. People who have hypersomnia can fall asleep at any time; for instance, at work or while they are driving. Modafinil is classified as a schedule IV controlled substance in the United States and is restricted in availability and usage due to concerns regarding potential side effects. In other countries, however, it is not legally restricted but is a prescription drug and not readily available. Aside of the aforementioned side effects, research done in health clinics observed serious strong negative reactions in patients, therefore notifying the pharmaceutical industry of their findings. During research done in health clinics, Modafinil users were rapidly hospitalized, reportedly discontinuing treatment. In a lot of these situations, individuals arrived with a fever, and in some cases vomiting and even leukopenia. Alongside these cases, some people’s bodies also reacted with Angioedema and Anaphylaxis reactions. These cases were reported to the pharmaceutical industry after which patients were told to stop consuming Modafinil if they experienced swelling of different parts of the face, itchy eyes, sore lips and tongue, as well as the larynx. The list proceeded to include difficulty swallowing, or even trouble breathing. The clinical findings also mentioned hypersensitivity within multiple organs, which could lead to required hospitalization, and can be life-threatening if not treated immediately. It was also found that repeated consumption of this substance disrupts the body’s ability to rest thoroughly, meaning that they may have permanent problems getting the sleep they need and restoring energy for the daytime. Some patients who have been administered Modafinil have even experienced psychiatric symptoms. The certainty of such a side effect is unknown, and likely relies on each individual’s history of mental state. 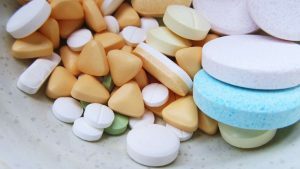 The same clinical studies have also revealed that patients may experience cardiovascular problems, specifically chest pain, heart palpitations, and unwanted reactions to the drug. In another study in which the substance being used was revealed to the patients, more reactions in the mental sphere were found, including Tourette’s syndrome, aggressive motives, insomnia, and suicidal thoughts. Transient leukopenia was also observed. The list does not end there! In instances outside of the clinical study, other side effects were observed, caused by the consumption of this substance. As observed by researchers, the side effects of Modafinil (some of which are life-threatening) definitely outweigh the advantages of consuming the substance. Individuals particularly allergic to the active ingredient (modafinil) should strictly avoid Provigil or other branded substances that include the ingredient. Individuals who have been prescribed Modafinil must make their physician aware of their medical symptoms history, especially if they involve hepatic and kidney disease, cardiovascular problems, or have been previously dependant on other substances. If any of the above applies to you, avoiding the use of Modafinil is absolutely essential, unless strictly authorized by a physician. Users should not forget that Modafinil additionally influences the nervous system, making its use a danger to themselves and others when driving, using other heavy machinery, or engaging in any activities in which alertness is necessary. 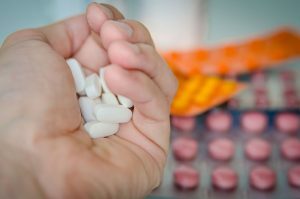 Other medications and herbal products have a tendency to interfere with Modafinil, making it necessary to let your physician know about any other drugs you are using (including recreational). If you are using Modafinil, be conscious of how it will affect your life and others, and beware of its potential repercussions!